Product #5723 | SKU HDMD-310 | 0.0 (no ratings yet) Thanks for your rating! The Hosa HDMD310 Standard HDMI Cable (10ft). 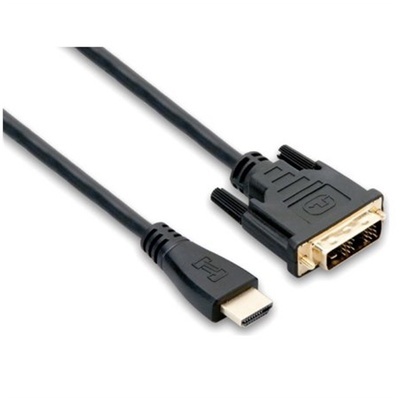 This cable is designed to connect an HDMI source to a DVI monitor with either a DVI-D or DVI-I input. It is compatible with all HD video formats up to 1080p.